Who doesn't dream of making it rich? I have been watching house flipping shows for years and dreamed of becoming a real estate investor. This book lays down the brass tacks of what it takes and how to get it one. It is packed with the basic information on how to get started and where it could lead. It's step by step instructions are helpful and on target. I would highly recommend it to anybody wanting to learn more about how the real estate market works in general. America's most trusted real estate investing mentor and coach, Phil Pustejovsky, shows you step by step, how to be a real estate investor, regardless of how much money you have, your credit rating or your experience level. 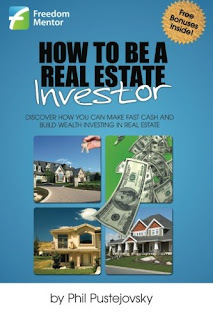 This book was created for anyone looking for a simple to read, easy to follow guide on real estate investment in today's market. Phil Pustejovsky is a best-selling author, national speaker, accomplished investor and has been recognized as the leading coach and mentor in real estate. His works have been featured in CBS MoneyWatch, Wall Street Journal’s MarketWatch and Yahoo! Finance. He frequently shares the stage with other legendary wealth experts such as Robert Kiyosaki, Robert Shemin and Peter Conti. Having been a part of more than 1,000 real estate investments himself, Phil is considered one of the most experienced investors alive. And for nearly a decade, Phil has been guiding everyday people to financial freedom through his innovative real estate investing techniques and strategies. Phil Pustejovsky is a best selling author, national speaker, accomplished investor and has been recognized as the leading real estate investing coach and mentor in the United States and Canada. His works have been featured in CBS MoneyWatch, Wall Street Journal's MarketWatch and Yahoo! Finance. He has shared the stage with other wealth experts such as Robert Kiyosaki. Having been a part of more than 1,000 real estate investments himself, Phil is considered one of the most experienced investors alive. For nearly a decade, Phil has been guiding everyday people to financial freedom through his innovative real estate investing techniques and strategies. He has a tremendous talent for taking people brand new to real estate investing and transforming them into market leaders through his apprentice program. 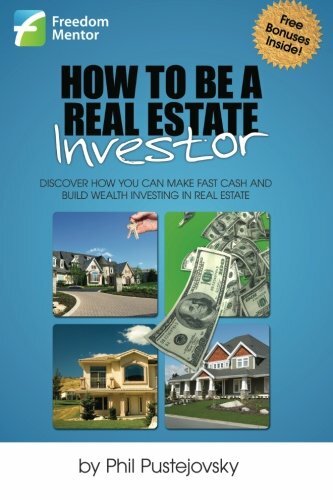 To get an even more detailed Phil Pustejovsky Wiki, read his best-selling book, "How to be a Real Estate Investor."